LT-1 Left & Right front hood units and rear side stencils. Also LT-1 decals for hood. Left & Right front hood stencils. Left & Right hood side stencils that extend to the end of the hood. 2- LT-1 decals for hood. NOTE: The front and side stencils join on the side of the hood in the same place Chevrolet did allowing someone doing a point car to recreate the same misalignment if desired for a concours restoration. One pair of LT-1 hood decals Note: Early 1970 Corvettes up to vin #9590 used the silver/black color format based on the 1970-72 section of the NCRS judging manual. White/Black LT-1 decal was then introduced. Note: “The last un-equal hood stripe now know is on 1970 s/n 15,889 (July 18 build date). The First equal width hood stripe now known is an 1970 s/n 16,448 (July 24 build date).” NCRS Judging Manual. Left & Right front hood stencils and Left & Right hood side stencils that extend to the end of the hood. and include the LT-1 decals for hood. The front and side stencils join on the side of the hood in the same place Chevrolet did allowing someone doing a point car to recreate the same misalignment if desired for a concours restoration. One pair of White/Black LT-1 hood decals. Included with your stencil kit, a how to sheet, GM spec. sheet, PPG paint code sheets, application squeegee and paint information sheets. Our kits were created from original paint Corvettes in 1989. 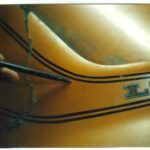 The stencils are design for ease of application using original body lines for alignment. 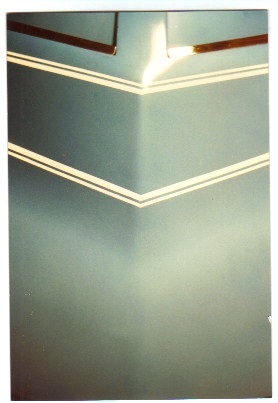 The front and side stencils join on the side of the hood in the same place Chevrolet did allowing someone doing a point car to recreate the same misalignment if desired for a concours restoration. Plus color photographs of the original hoods showing the misalignment of the factory side stripe. Included with your stencil kit, LT 1 decals silver/black for 1970 & white/black for 1971-2, a how to sheet, GM spec. sheet, PPG paint code sheets, application squeegee and paint information sheets. Note: Reproduced from original unpainted cars.